After a few months of suspense, ever since December 2016 when Cheikhe Hadjibou Soumaré of Senegal resigned, the UEMOA heads of state have unanimously elected on 10 April 2017 a new president for the regional organisation’s commission: Abdallah Boureima from Niger. The appointment of Boureima marks the end of diplomatic tensions between Niger and Senegal, who had both been actively campaigning to occupy the Union’s presidency. According to the deal, Boureima will serve only one term, and Senegal will then take over the UEMOA Commission presidency as of 2021. Abdallah Boureima holds a master's degree in management sciences and a post-graduate degree in “banking and financial careers” from the University of Toulouse and the University of Rennes in France. Close to Nigerien President Mahamadou Issoufou, who chose Boureima as minister of economy and Finance when he was Prime Minister from 1993 to 1996, he has more than 30 years of professional experience in the administration and the private sector. He was the deputy director of the Nigerien Banking Company (Sonibank) and director of the Liptako Mining Company (SML). 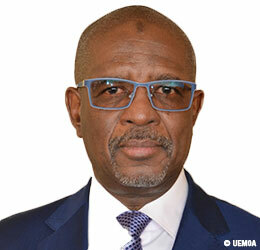 He joined UEMOA in 1999 as a commissioner of the UEMOA Banking Commission. In 2011, he was appointed as UEMOA commissioner for the department of social development and then servered as commissioner of the economic policy and internal taxation department.